12-1/4? overall length, 5/64" thick, 1-9/16" wide and a 7-1/2" blade. Fine satin finish and flat ground, superior 440C stainless steel. CRYOGENICALLY TREATED to enhance its edge holding properties. Holes in handle are for three 5/32" diameter pins or two large (7/16") holes for bolts. 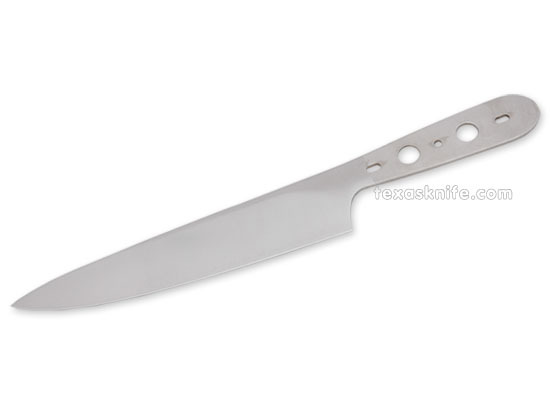 This blade along with the Mid Size Chef and the Utility Paring blade make a nice set of three.